The Purely Fall Magazine is Here! Download now. 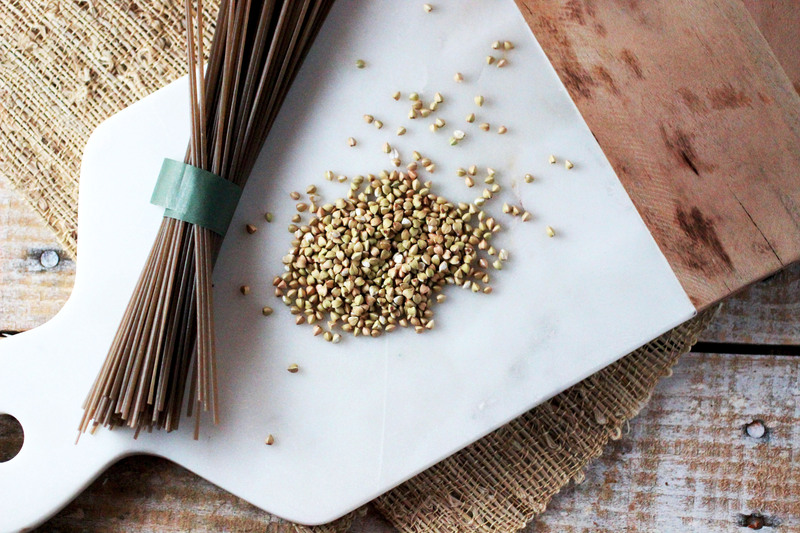 This feature was contributed by our friend / incredibly talented recipe developer + blogger, Megan at The Loving Table. 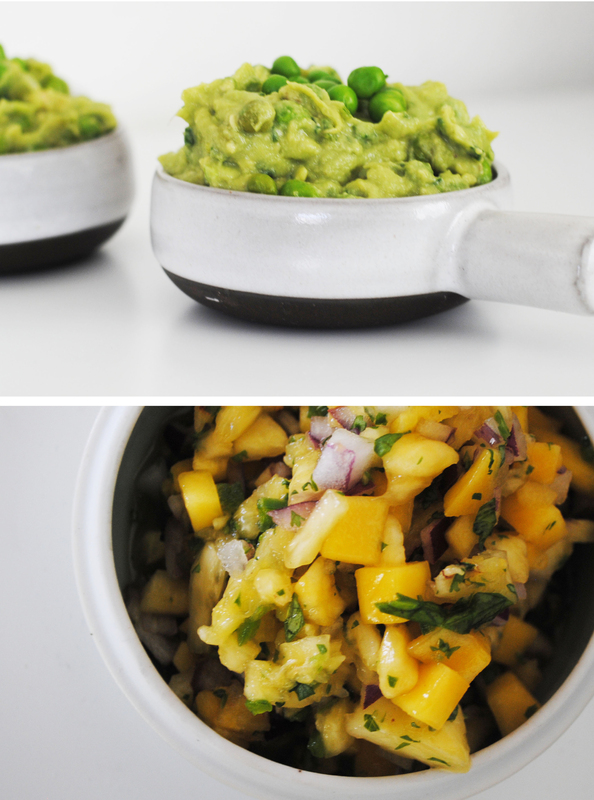 Guacamole is a Cinco de Mayo staple, and this recipe lightens things up with the addition of sweet green peas, fresh chives and spring green onions. Perfect with chips as an app, or eaten on top just about anything. 1. Mash avocados in a mixing bowl. Add green peas and continue to roughly mash until the peas are incorporated but still somewhat formed. 2. Stir in the chives, green onions, lime juice and salt. Add more lime juice and salt as necessary. Combine all ingredients in a medium mixing bowl, tossing together with a spoon. 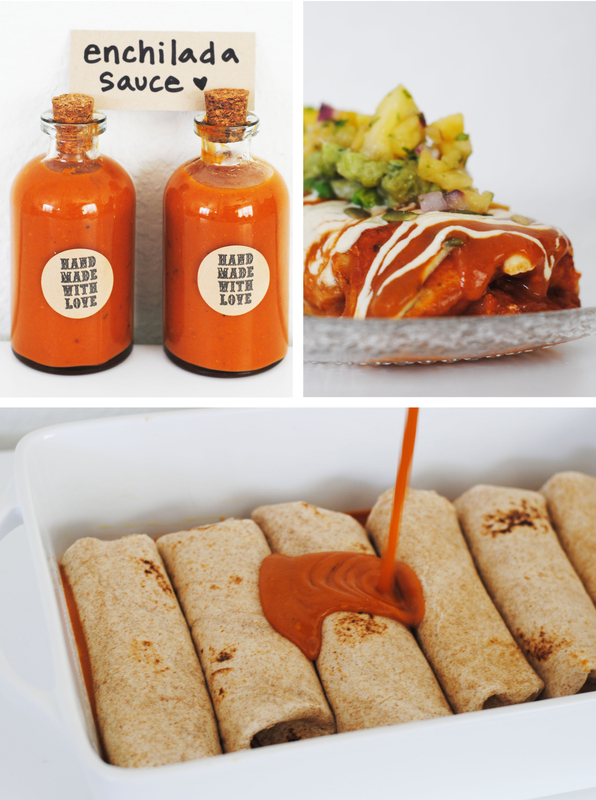 Making your own enchilada sauce is surprisingly easy, and much healthier than the store-bought alternative! Double up on the sauce and bottle it for cute, take-home party favors. 1. In a small bowl combine the gluten-free flour and all spices. 2. In a medium saucepan, heat olive oil over medium heat. Add the tomato paste, followed by the bowl of spices. 3. Cook for about 30 seconds, whisking continuously. 4. Whisk in the broth, then increase heat and bring to a boil. Reduce down to a simmer, and continue cooking for about 10-12 minutes until slightly thickened. If you want a thicker sauce, continue reducing for 5 more minutes. Adjust salt, pepper and spices as needed and keep warm on the stove while preparing the enchilada filling. 1. Preheat oven to 375 °F and grease a 9 x 13 pan. 2. Toss asparagus with one tbsp olive oil. Transfer to a sheet pan and place in oven. Repeat with two tbsp olive oil and sweet potatoes. Cook for 35-40 minutes or until tender, stirring occasionally. 3. Combine black beans, salsa, red bell pepper, lime juice, cilantro and spices in a medium mixing bowl. Add cooked asparagus and sweet potatoes. Mix well. 4. Spread 1 cup of enchilada sauce on the bottom of your greased 9 x 13 pan. 5. 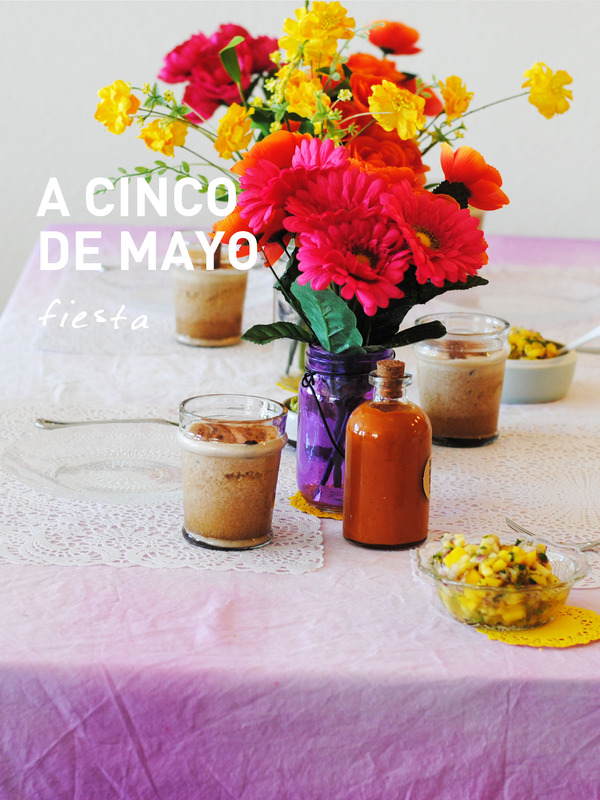 Prepare the enchiladas one at a time. Scoop about ½ cup of the enchilada filling onto the left side of a corn or brown-rice tortillas. Fold and roll, placing the enchilada seam-side down in the prepared pan. Repeat with the remaining 5 tortillas. 6. Pour two cups enchilada sauce over the enchiladas, cover with foil and bake in the over for 15-20 minutes. 7. Remove, and sprinkle with pumpkin seeds, fresh herbs, and scallions. Top with cashew cheese. This sweet & refreshing drink originated in Valencia, Spain, and has since changed in name and flavor from one region to the next. In Mexico, Horchata is traditionally made with rice, but rice has also been replaced with a variety of other seeds, nuts and grains depending on local availability. If you don’t have the time to make this recipe from scratch, you can easily substitute with pre-made almond, hemp, soy or coconut milk. 1. Combine rice, Brazil nuts, water and cinnamon sticks in a large bowl. Let soak for about 2 hours. 2. Transfer the rice mixture to a vitamix or high-speed blender, and add the vanilla bean. (If you have a small blender, you can mix in batches). Blend on high for 1-2 minutes, until well incorporated and smooth. 3. Strain through a fine-mesh sieve or cheesecloth bag into a pitcher, return to the blender and mix in the coconut sugar and pinch of salt. 4. 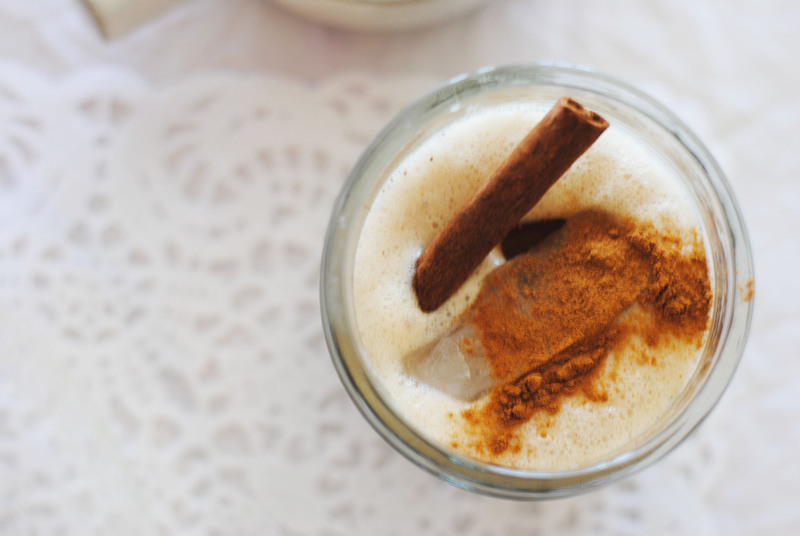 Chill until ready to serve, pour into glasses and garnish with cinnamon sticks and ground cinnamon. 2. 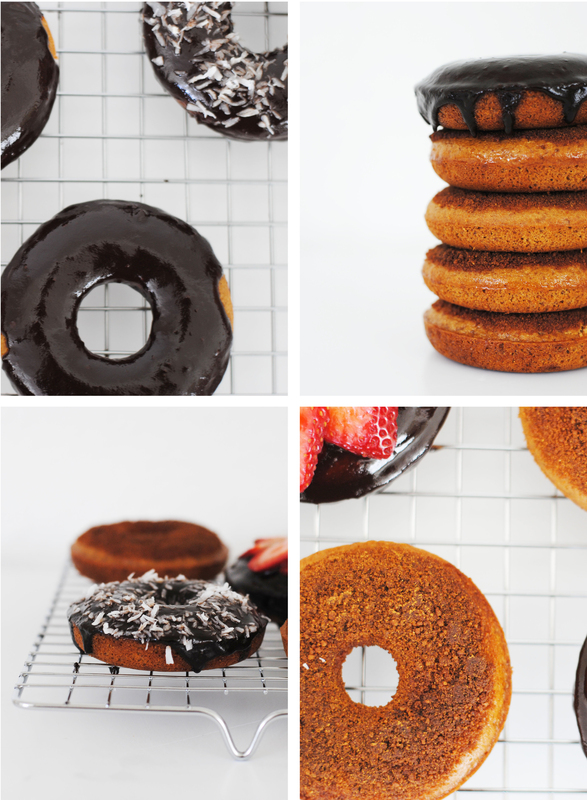 Brush 2 six-mold doughnut trays with coconut oil and set aside. 3. In a medium mixing bowl combine coconut sugar, flour blend, baking powder, salt, and baking soda. 4. In a separate bowl, combine all wet ingredients. Add to dry ingredients and mix together to just combine. It shouldn’t be thick. 5. Use a melon baller or tbsp to drop 2 ½ to 3 tbsp batter into each doughnut mold, spreading with the back to evenly distribute. 6. Bake for 8 minutes, rotate, and continue baking until the doughnuts are golden brown, about 7 minutes more. Ovens vary, so test with a toothpick after the initial 15 minutes. If it doesn’t come out clean, continue testing every 3-5 minutes. You don’t want them to be too firm, as they will continuing firming up outside of the oven. *note: to make the chocolate glaze I simply combined ¼ cup coconut oil and ¾ cup vegan chocolate in a double boiler with a dash of cinnamon and sea salt. Let cool slightly before dipping doughnuts. Mother’s Day Gift Box Giveaway! 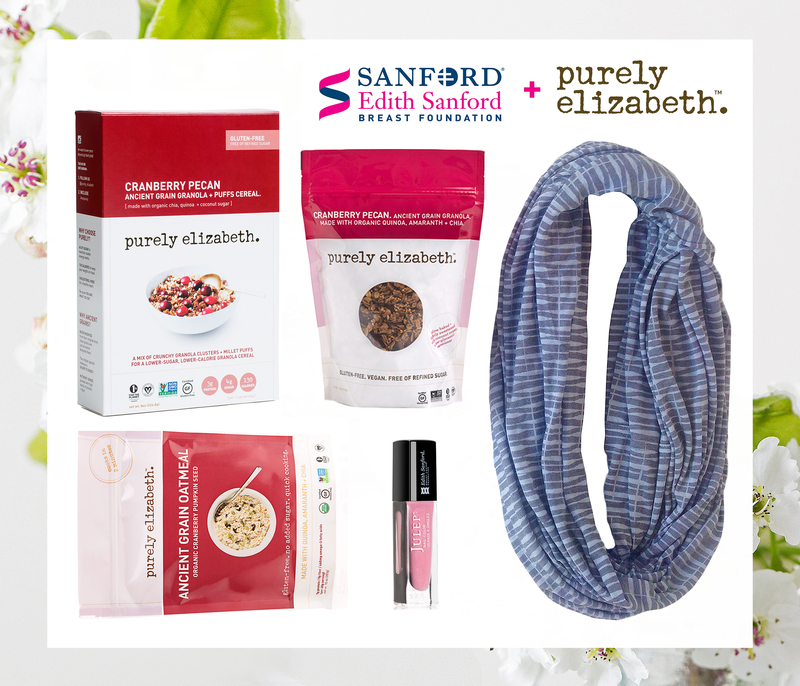 In honor of Mother’s Day, Purely Elizabeth is proud to be a sponsor of the Edith Sanford Breast Cancer Foundation* + will be making a donation to their great cause! We’ve crafted festive + trendy gift boxes to send mom that you can buy on our website! >> We’re offering these limited edition boxes for 50% off the retail value of $70!!! We’re also giving away FOUR boxes on social media for you + a friend to win! 2. Follow the directions on our Mother’s Day Box post! *Purely elizabeth is a proud sponsor of Edith Sanford and the purchase of a box or any other product does not affect purely elizabeth’s donation to Edith Sanford. As a female-run company focused on health and wellness, breast cancer is a cause that is close to us all. We’ve all been impacted in one way or another by breast cancer and are passionate about helping to stop it. That’s why for Mother’s Day this year, we are not only crafting festive boxes to send to mom, we are also making a donation to the Edith Sanford Breast Foundation*. Edith Sanford is a national nonprofit organization that we have been partnering with for almost three years now. The organization is pioneering a bold new comprehensive approach to breast cancer, with a mission to unlock each woman’s genetic code, advance today’s prevention and treatment, and end breast cancer for future generations. 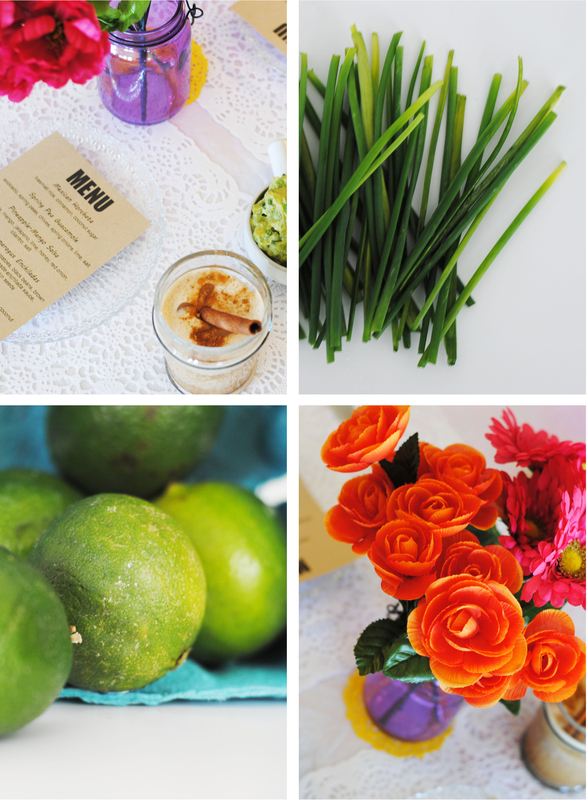 So why not give your mom a thoughtful, trendy and tasty gift that gives back this Mother’s Day! We’re offering these limited edition boxes for 50% off the retail value of $70! Shop now while supplies last! The last day to order for guaranteed delivery by Mother’s Day is May 1st. Through a devoted son’s commitment to honor his mother, whom he lost to breast cancer, the Edith Sanford Breast Foundation was founded to help find the cures. The organization strives to unlock each woman’s genetic code in order to end breast cancer for future generations. By advancing today’s prevention and treatment, they are making big strides towards discovery. We love supporting great causes, especially when it comes to promoting good health for the ones we love. Creates beautiful fitness clothing that is both stylish and comfortable. Their clothing is made from eco-friendly fibers that create long lasting apparel for any occasion. The featured double wrap scarves are made from lightweight knit Burnout Jersey, a breathable and incredibly soft fabric that mom can pair with any spring outfit this season! Celebrating Elizabeth’s Bday With A Giveaway for All Elizabeths! 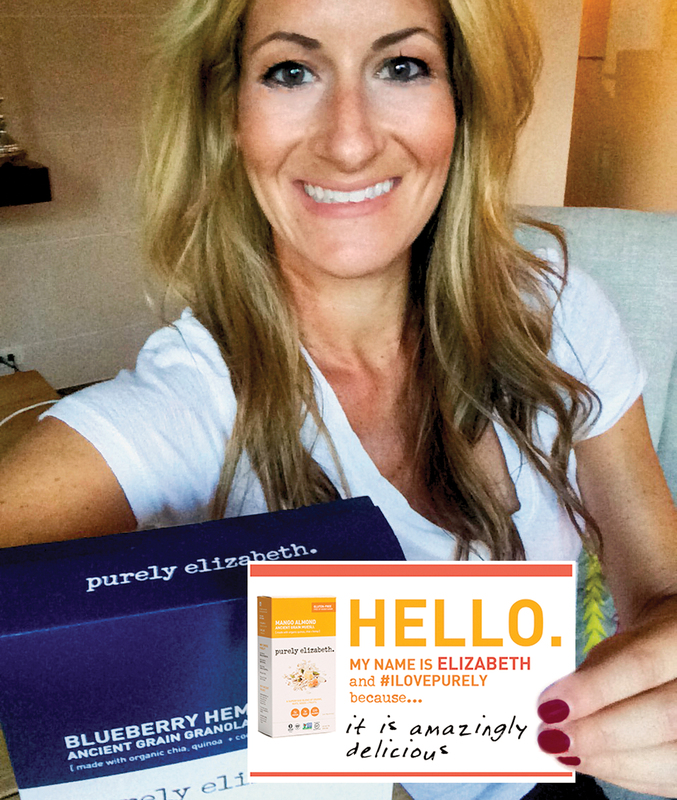 Today we’re wishing a big happy birthday to Purely Elizabeth founder, Elizabeth Stein! In celebration, we’re hosting a special #ILovePurely Selfie Giveaway for anyone who shares the name. 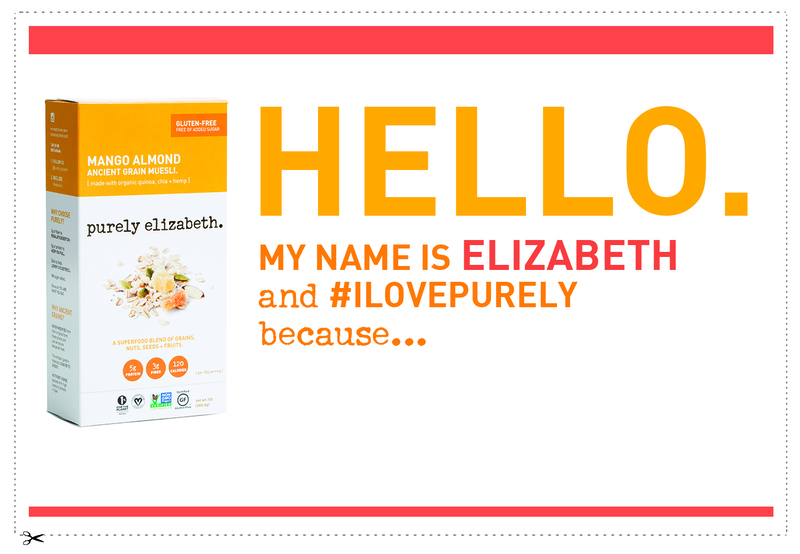 If your name is Elizabeth, follow the steps below for a chance to win one of each of our NEW products! What’s super exciting about this prize is that our products are so brand new that they aren’t even available on our website! 3. TAKE A SELFIE holding the name tag AND POST THE SELFIE on your Instagram. 1. The first 30 Elizabeths to post will get two FREE new products! One (1) Ancient Grain Granola + Puffs Cereal Box and one (1) Ancient Grain Muesli. 2. AND, get this… The rest of the Elizabeths that post will get a free product coupon! Introducing Two NEW Product Lines! Introducing two NEW products redefining the breakfast aisle! 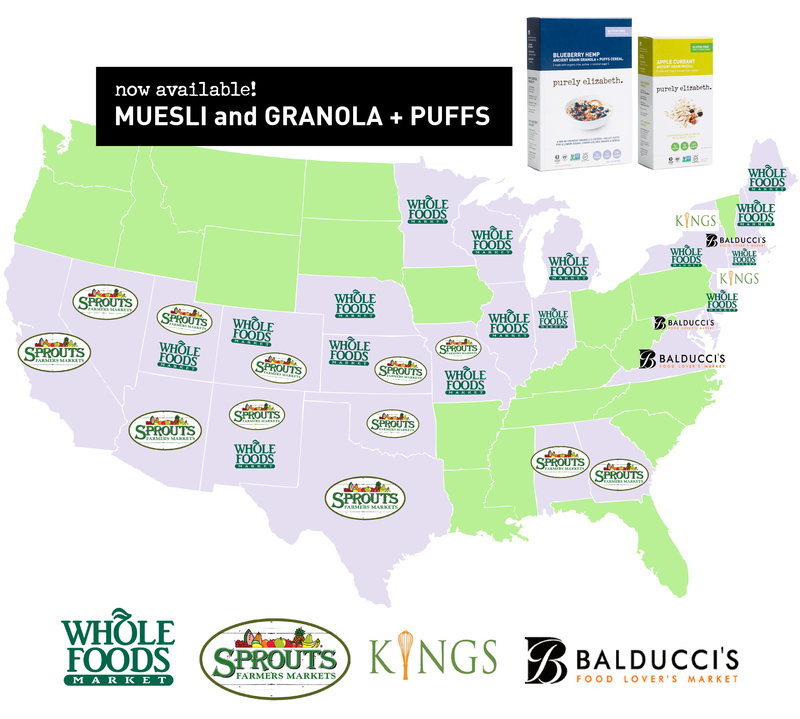 Muesli gets a superfood makeover! A flavorful blend of ancient grains, nuts, seeds and fruits for an innovative twist on an old classic. 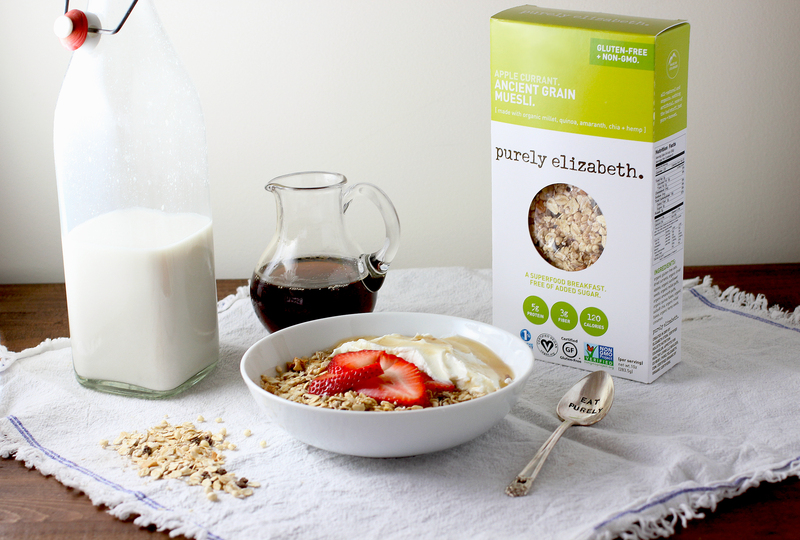 ANCIENT GRAIN GRANOLA + PUFFS CEREAL. A new kind of breakfast cereal! We mixed our award-winning crunchy granola clusters with heart-healthy millet puffs for a lower-sugar, lower-calorie granola cereal. 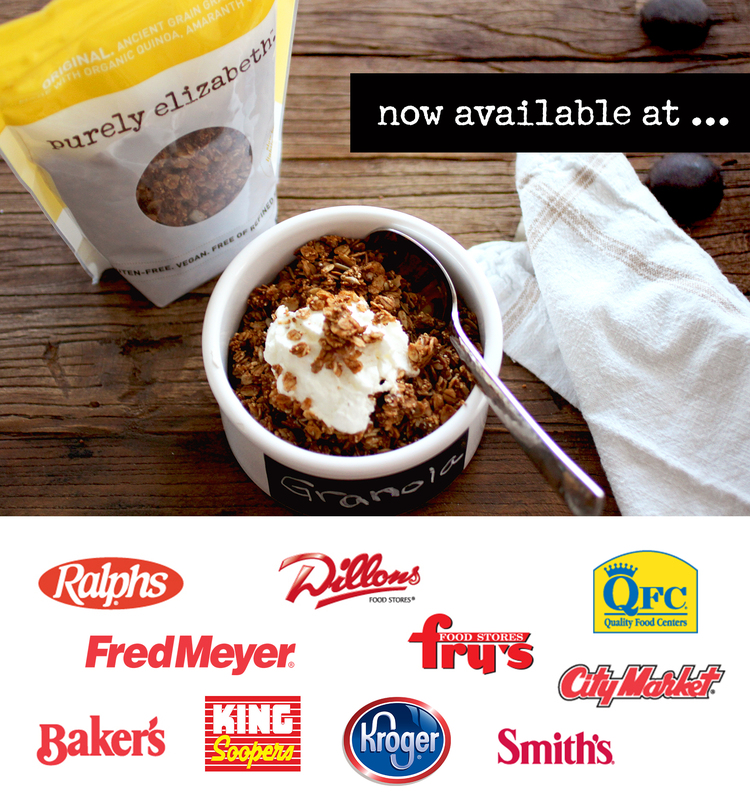 Now Available in 10 More Grocery Chains Nationwide! Flax seeds provide omega-3 fatty acids, which have been known to be mood lifting and possibly help combat depression. Several studies have found that increasing the omega-3 fatty acids in your diet can aid in preventing major depression disorders. Flax seeds are also great for preventing heart disease – thanks to their inflammation fighting properties, which prevent plaque build up. Getting omega-3s can be difficult if you don’t have fresh fish available to you, but there are many other sources you can get them from! A few of our favorites are peanut butter, oatmeal, flax seeds, walnuts, brussels sprouts and cauliflower. Berries are considered one of the healthiest foods. There is nothing worse than letting stress get in your way, especially when you are feeling down. This can lead to an overwhelming spiral–exhausting you mentally and physically. Blueberries can help prevent the release of cortisol, a hormone produced by the adrenal gland during stressful situations, that travels to the hippocampus (a major portion of your brain) and provides emotional responses. 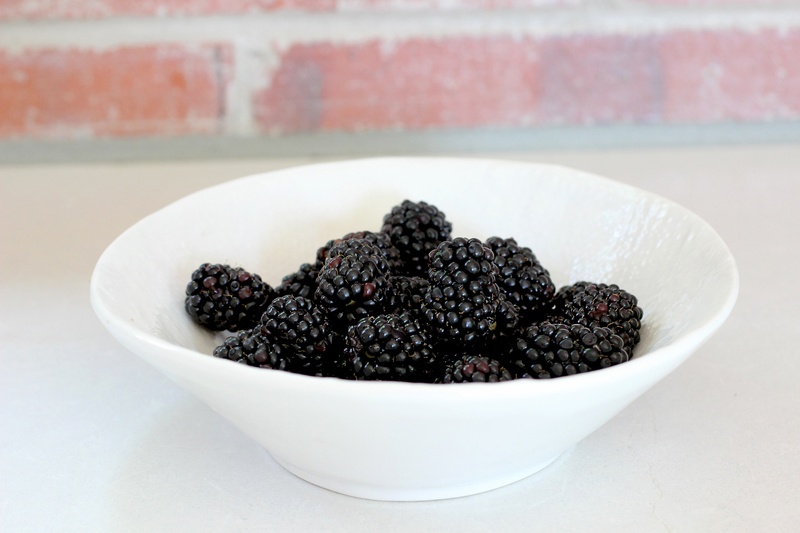 Berries can help control and counter the effects of this hormone’s impact on your mood. Berries are loaded with anthocyanidins, known to boost brain function and antioxidants, which promote brain and nervous system health. Berries are also low in sugar and calories, so pile them on! Keeping your blood sugar level steady is more important than you think. When your blood sugar gets low you are more prone to feeling depressed and irritable. This means that paying attention to what you are eating is essential to maintaining your glucose levels to keep you in a balanced state of mind. Sugar promotes inflammation in the body that is directly correlated to promoting depression and anxiety. It also interferes with the balance of hormones within the hippocampus because of the inflammation it promotes throughout the body. Furthermore, sugar creates spikes in your blood levels, promoting you to eat unhealthy and to make poor food choices more frequently. It becomes an addiction for quick pick-me-ups, but will not help your mood in the long-run. Choose healthy wholesome foods that will make you feel great. Try choosing a balanced meal with lean protein, vegetables and whole grains to control your blood sugar and prevent inflammation. Folate and vitamin B12 are important for mood control because low levels can lead to depression and other mental issues. Studies have shown that low blood levels of these vitamins are sometimes related to depression, although no one is exactly sure why. Some scientists believe that these vitamins are used by the body to create serotonin, one of the key neurotransmitters that help normalize mood. This vitamin is especially important for women and even more important during pregnancy. Some foods that provide folic acid are lentils, leafy greens, citrus, asparagus, kidney beans, oatmeal and broccoli. Whole grains are a great source of B vitamins, which are key nutrients for good moods. Research has shown that vitamin B6 deficiencies can lead to higher stress, irritability, tiredness and depression. By choosing whole grains, you can get your carb-comfort food fix–boosting your mood without derailing your diet. So, don’t eliminate all carbs — just make smart choices when choosing which carbs to put into your body. Limit sugary, unrefined carbs (such as cakes and cookies) and pick smart or “complex” carbs (such as whole grains), along with plenty of fruits, vegetables and legumes, which all contribute healthy carbs and fiber. Find out what works for your body to ensure you are staying balanced. Don’t let your mood get in the way of your enjoying your day! Try changing your diet to promote a healthy lifestyle and most importantly a healthy better feeling you.